Your hunting gear is incomplete without the addition of a survival knife. 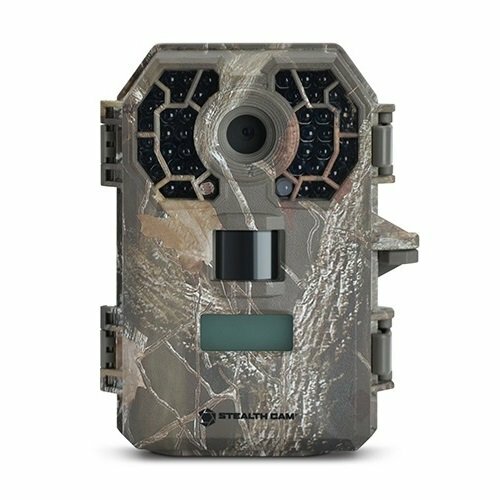 It is one of those things which cannot be left behind when going on outdoor trips such as hunting, hiking, etc. The quality of the knife matters since you will be using it for various purposes. The knife that you select has to be strong enough to withstand the harsh elements. With a number of choices available currently, the confusion over selecting the perfect knife for yourself is immense. For that, you need to make up your mind on the specifications that you want it to have. The BlizeTec Survival Knife is one of the best out there since its loaded with lots of features and comes with a complete survival kit. In this BlizeTec Survival Fixed Blade Knife Review we will go through the points that make this knife so special. This BlizeTec survival knife is compact in size at 8.46 inches in total length, it has a blade length of 4.17 inches with a 20 degree angle, and a handle length of 4.29 inches. It is also lightweight, weighing only at 4.86 ounces. The blade is made from Grade A 420 stainless steel which runs through the entire length of the knife (full tang). This material is truly corrosion resistant and it is often used for making high quality outdoor accessories. The handle is made from classic “pakka” wood which enhances the feel and grip of the knife and also makes it sturdy. The BlizeTec Survival Pocket Knife can be used for multiple purposes. The blade is very sharp and is able to cut through most materials like wood, skin, etc., with ease. Also having a strong blade makes it very effective, so it can be used for hunting or self-defence. A partial serrated edge is on the opposite side of the sharp edge which comes in handy in different situations. The compact size of this BlizeTec knife and the easy to grip handle ensures that you do not lose grip in situations that demand excessive force. The BlizeTec Survival knife comes with a full array of accessories, and the magnesium fire starter is a part of the package. It can be used up to 12,000 strokes. The key-shaped fire starter can be stroked gently on the serrated edge side of the knife which results in sparks, letting you start a bonfire with ease. The fire starter, which comes as an add-on to the survival knife, has its own pocket on the wearable knife waist pouch which makes it easy to access. Another addition to the survival knife set from BlizeTec is its compact but powerful LED torch. Incorporating high intensity LED, the flashlight is powered by only a single AA size battery. The life for the flashlight on a single battery is 30 hours which is more than what you can expect. Small flashlights like this can come in handy in a variety of situations. Also, the flashlight can be attached anywhere on your waist belt or the pouch provided with the BlizeTec knife kit. The BlizeTec Survival Knife sheath consists of a top looped area through which you can insert your belt. This allows the user to attach it securely to your belt and even your leg. Also, there are a number of holes through which you can insert a cord and secure it to any suitable position. This gives you a lot of flexibility when attaching the frame. Since different people can carry this device strapped or hung in different positions, all these small improvements do matter a lot. Ergonomic design and very sturdy. Corrosion resistant grade A420 stainless steel full tang knife. Survival knife comes with powerful compact LED flashlight and fire starter. Easy to grip and flexible attachment options. The knife is on the smaller side and may not be suitable if you need a big knife for rougher activities. Q) What is A420 grade stainless steel? A) A420 grade stainless steel refers to a type of stainless steel which is frequently used in outdoor and sport accessories and is very tough and corrosion resistant. Q) What is the color of the LED flashlight? A) The LED torch emits powerful white light. Q) Is the sheath a clip on or belt worn type? A) The sheath is meant to be worn with a belt. 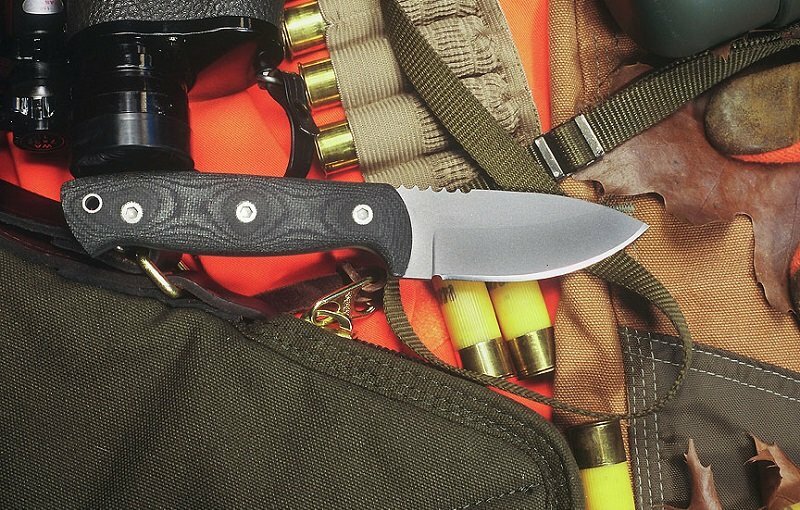 This BlizeTec Survival Fixed Blade Knife Review shows what an effective and feature filled accessory it is. It goes without saying how important such survival knives are to your hunting or trekking gear. If you are able to handle knives, you can easily handle this one too because of its enhanced ergonomic factors and the added strength it provides that makes it suitable for many activities. If you are looking for a knife you can use for the long term and yet is easy to use in the most demanding situations, this BlizeTec Survival Fixed Blade Knife may meet your needs. For few other Top 5 Fixed Blade Hunting Knife Reviews, read the Top 5 Fixed Blade Hunting Knife Reviews with Buying Guide.